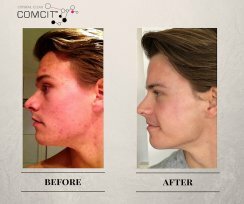 Introducing COMCIT – the most intensive skin rejuvenation system yet ! The COMCIT facial offers a simultaneous delivery of Cryo Oxygen whilst unique Microchannelling Rollers (also referred to as dermal rollers or micro needling) creates hundreds of microscopic channels in the skins epidermal / dermal layer, driving a topical infusion of powerful skin rejuvenation ingredients into the skin. Smoother, fresher, firmer, plumper and more youthful skin. Optimal absorption of beneficial nutrients. Suitable for all ages and a multitude of skin concerns. 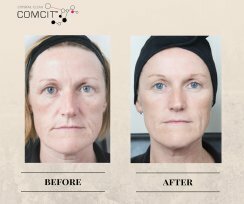 Call us now to find out what the COMCIT Facial can be do your skin and looks. Fine lines & wrinkles or premature aging. Clients seeking an advanced treatment for problem skin. Clients seeking an advanced treatment for skin ageing. COMCIT Technology is designed to work with unique nutrient rich formulas for optimal results. Tiny micro channels are created in the skin whilst simultaneously infusing the skin with highly active ingredients that induce collagen and help to heal the skin. The skin is treated with cryo oxygen which makes the treatment painless as well as oxygenating the skin. The treatment uses highly active ingredients including Vitamin C and Hyaluronic acid as well as PhytoCellTec which is based on stem cells of the Argan Tree which is the very first active ingredient capable of protecting and revitalising human dermal stem cells. COMCIT immediately creates radiance to the skin as well as firming and toning. 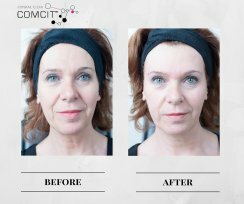 What does COMCIT do for skin ? Smoothes & plumps lines and wrinkles. Helps repair the effects of sun damage, including pigmentation. Perfect for acne-prone skin (due to the anti-bacterial effects of both oxygen and the infusion). Allows deep penetration of active skincare ingredients into the skins layers. Provides oxygen to all levels of the skin. Stimulates Collagen production at a cellular level. Helps smooth stretch marks and acne scarring. During your course of COMCIT you can return to your normal lifestyle immediately, with no down time or interruption to your daily routine. How often should I have the Treatment ? A course of 6 weekly treatments is highly recommended if you are looking to treat a particular skin concern such as fine lines and wrinkles, pigmentation or dull, lack lustre skin. Monthly treatments are highly recommended if you want to keep your skin looking smooth and fresh looking. A one off treatment is great before a special occasion to boost your skin and can be done with or without micro channelling 9 Micro needling. The Frozen Facial – The most effective and advanced skin rejuvenation treatment yet, tackling lines, wrinkles and pigmentation. 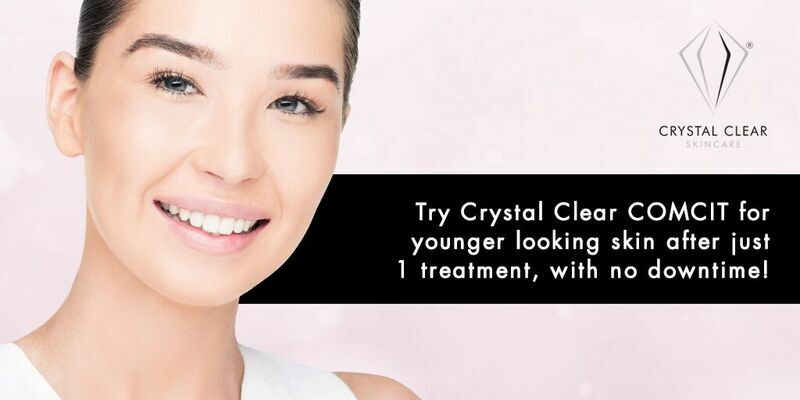 Enjoy a full cleanse and gentle exfoliation, followed by our ground-breaking COMCIT treatment, using Cryo Oxygen and Micro Rollers to infuse the skin with a potent Infusion, tailored to tackle your skins concerns and stimulate collagen production. Then lie back while your therapists applies a Crystal Clear face mask to suit your skin type, giving you an extra hit of hydration, firming and lifting. Face & neck – cleanse, exfoliate, cryo oxygen, micro channelling and induction therapy. Course of 6 COMCIT Facials Please call for your Personalised Quote. Face & neck – cleanse, exfoliation and cryo oxygenation infusion with lift and tone. Course of 6 COMCIT Cryo Oxygen Facials Please call for your Personalised Quote. To add décolletage (treated at the same time as any of the facials above) there will be an additional charge of £15 per treatment. *Courses must be paid at the start of the course to qualify for course discount. Is there any down time or recovery time for the treatment ? There is no down time with COMCIT treatments, however you will be advised to apply a good SPF 30 or above for 48 hours after treatment and that you avoid the use of sunbeds, bathing in hot water and hot activities. 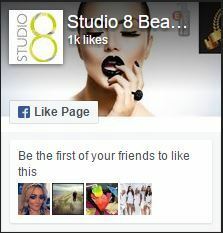 We also recommend no makeup application (unless mineral) for 10 hours post treatment. 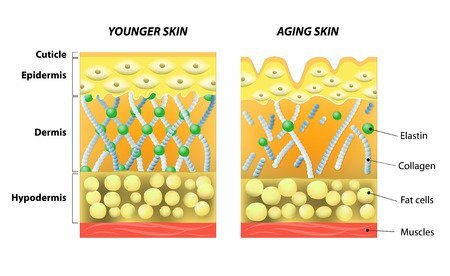 Is COMCIT suitable for all skin types ? Yes COMCIT is suitable for most skin types and colours..
How long does it take to see the results ? Why do I need to wait for 2 weeks before I have a further treatment ? How does COMCIT work ? Yes, COMCIT is an extremely safe, bloodless treatment. How will I look after treatment ? Immediately after your COMCIT treatment your skin may look a little pink. This will start to subside after 1 to 2 hours. Do I need to use any specific products in between treatments ? It is important that you use a professional skin care treatment system such as COMPLEX-C home care products or Dermalogica. We have ensured that the active ingredients not only protect your skin after the treatment, but also enhance the results of your treatment. Can I wear make-up after treatment ? Are there any contraindications to having the treatment ? Yes, as with all advanced facials there are a small number of people who (for medical reasons) are unable to have the treatment. A full consultation will be given to discuss your specific history. 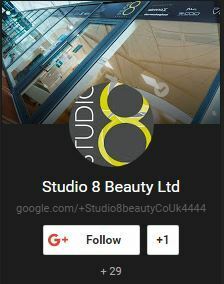 Please call the salon on 023 9238 0692 to discuss your specific requirements or to book a consultation or appointment. A full consultation is required prior to treatment.